"Like New Construction Without the Wait!” No Flood Insurance Required! Well-located on dead-end street 6 houses from Gadsden Park. Custom built in 2012, this gorgeous 5 bedroom, 3.5 bath home boasts 3240 sq ft w/ a spacious living room, formal dining room, den/study & bonus room! 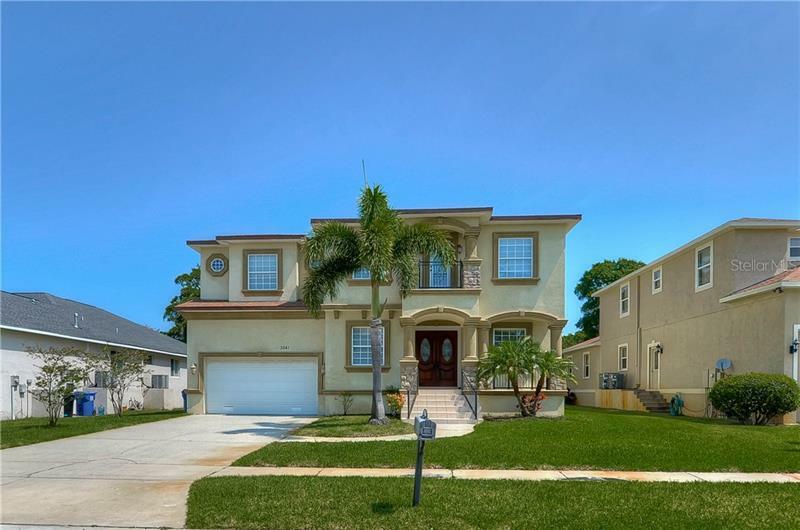 Centrally located under 5 minutes from MacDill AFB in South Tampa, commuting through Downtown Tampa or into Pinellas County is a breeze. Appointments include custom window treatments, recessed ceilings, pre-wired sound system, crown molding, wainscoting & custom trim, plank style vinyl flooring, French doors, 2 car gar, stone accent exterior & more! First floor master suite invites you to relax & unwind w/ a spa-like bath, granite counter tops, make-up counter w/ knee space, brushed nickel fixtures, framed mirrors & private shower enclosure. A chef-inspired kitchen will wow friends & family w/ solid wood espresso cabinetry, granite counter tops, tile mosaic backsplash, s/s appliances, wine refrigerator & beverage center, center island & a morning room overlooking the lanai. First-floor laundry room includes a washer, dryer & upper cabinetry. Upstairs you will find 4 more bedrooms w/ 2 full bathrooms plus large bonus room pre-wired for home theater equipment. Brick pavers & lush, tropical landscaping surrounded by a privacy fence allows you to garden, grill or just enjoy the Florida sunshine! This is a green home built to FGBC and Energy Star Home standards. Immaculately cared for property, so don't hesitate.